As a Tralee based cyclist there is a mindset to think of Castleisland and flat in the same sentence. 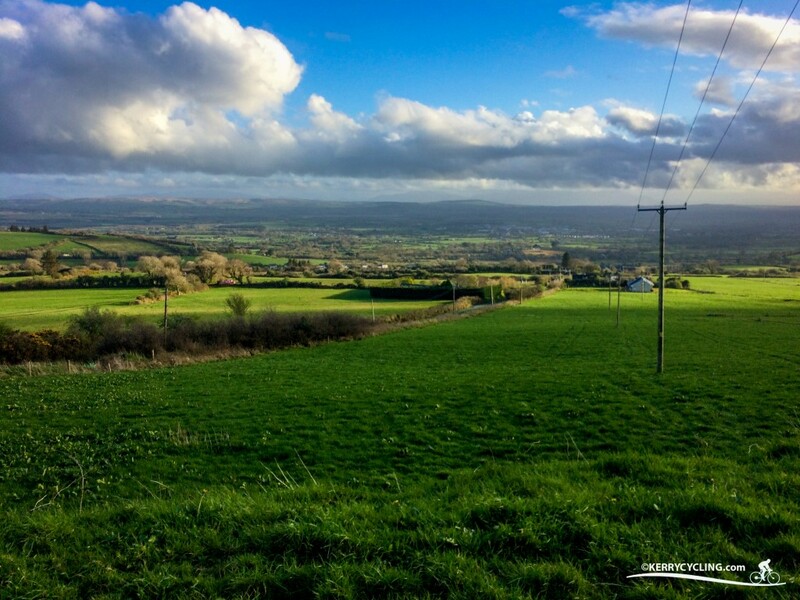 After all the N21 is one of the flattest roads leaving the Kerry capital to Castleisland and that particular road is very popular with time trialist and beginner alike. 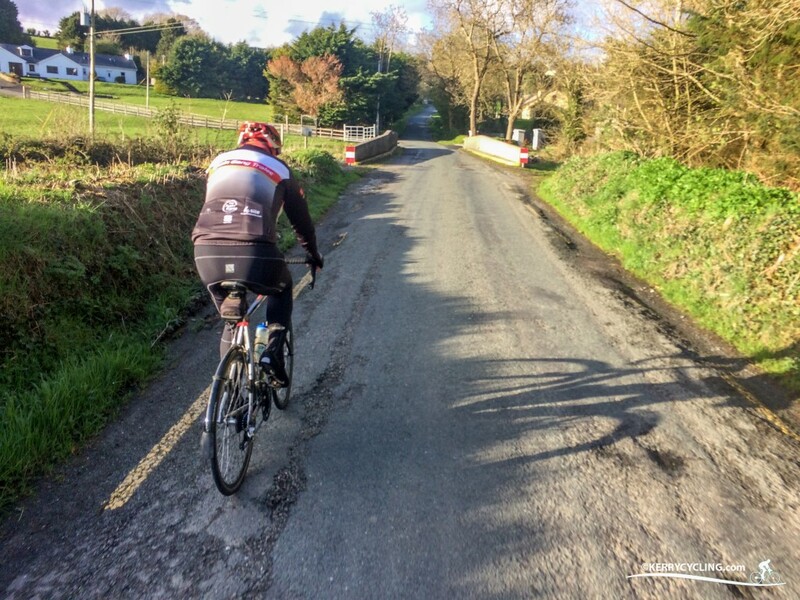 It’s after you take a closer look at Castleisland, that you realise the majority of the 7 or 8 roads leaving the town, at some point accommodate some very respectable climbs. To name but a few The Maum, Scartaglin, Cordal, Brosna and Crag Caves or as the locals like to call it Glounsharoon. I’ve encountered this climb on 4 or 5 occasions in the past but only from the top at the N21 Glounsharoon into Castleisland. Certainly the initial 2 kilometers are the fastest I’ll possibly ever do on a bicycle as the words death-grip and white-knuckle ride all come into play. As you might expect the ascent is a completely different kettle of fish. The route begins flat enough as you proceed up College Road and past the Crag Caves entrance. The road even kicks up slightly before dropping to bridge the River Shanowen. It’s from here on that the hard work begins. The road ramps up steadily as you find the slickest gear for the job. Sit down on the saddle and at times the front wheel lifts, stand and especially on a wet patch the grip on the rear wheel goes. 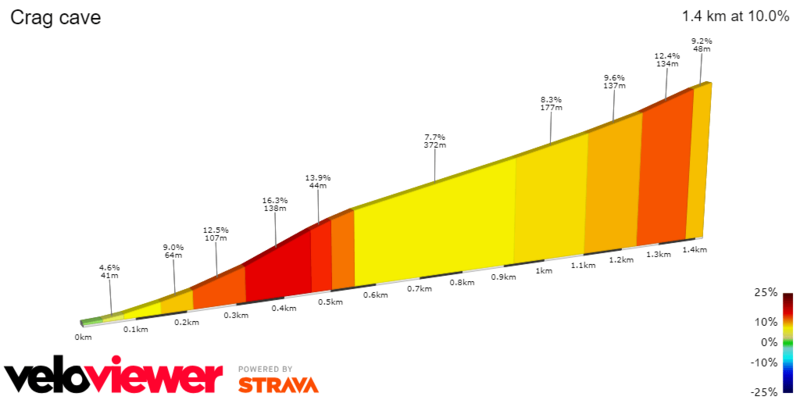 This first section is steep and adds its own cruel twist as you think you have reached the brow of the hill only for it to continue on for an agonising few more metres. Once this first section is done things settle down as the gradient becomes less severe. In recovery mode you get the chance to take stock and have a good look around and prepare yourself for the finale. Thankfully the final section on Glounsharoon is nowhere near as steep as the lower section, with the bend and final few metres onto the main road not coming anywhere near as severe as the gradient below. To summarise. I’d consider this to be a unique climb in so much as the hard work comes early, as oppose to near to the summit. The middle section is a great recovery segment and should just about buy you enough time to complete the final stretch.